Debugging Codename One apps on iOS devices has been documented well with a video for years, we didn’t spend too much time outlining the Android counterpart mostly because we didn’t really use it as much and it was far simpler. As Android Studio launched this actually became really easy as it was possible to actually open the gradle project in Android Studio and just run it. But due to the fragile nature of the gradle project this stopped working for our recent builds, this works for some cases but is a bit of a flaky touch & go. 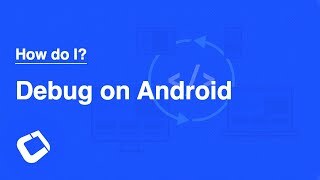 Google has the tendency to change things frequently which makes documenting a process to work with Android much harder than the iOS equivalent. The method outlined in the "how do i" video that we just launched should work regardless of future changes. It might not be the best way to do this but it’s simple and it works. Unzip the sources.zip file and copy the main directory from its src directory to the Android Studio projects src directory make sure to overwrite files/directories. You might need to copy additional gradle file meta-data such as multi-dexing etc. You might not need to repeat the whole thing with every build. E.g. it might be practical to only copy the userSources.jar from the libs directory to get the latest version of your code.and you can copy the src/main directory to get our up to date port. There are many edge cases and hints that probably don’t fit into this process, let us know in the comments below about the difficulties and success you’ve had with this process and also provide tips about simpler hacks to build the code for device. There is a portion we didn’t get into with the video, copying updated sources directly without sending a build. This is possible if you turn on the new Android Java 8 support. At this point you should be able to remove the libs jar file which contains your compiled data and place your source code directly into the native project for debugging on the device.